Marie Kondo’s method of tidying known as the Konmari method focuses on decluttering your home and keeping only the things that spark joy. 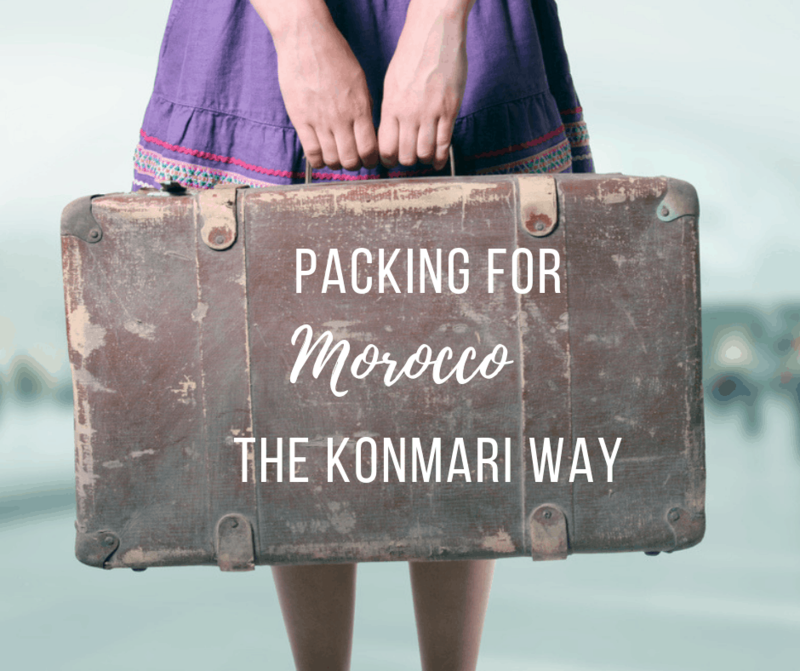 When you think about packing for your trip to Morocco, you might think it sounds weird to use the Konmari method. After trying this method myself, I am surprised to say that it even works in the context of packing! Here is how to pack the Konmari way. 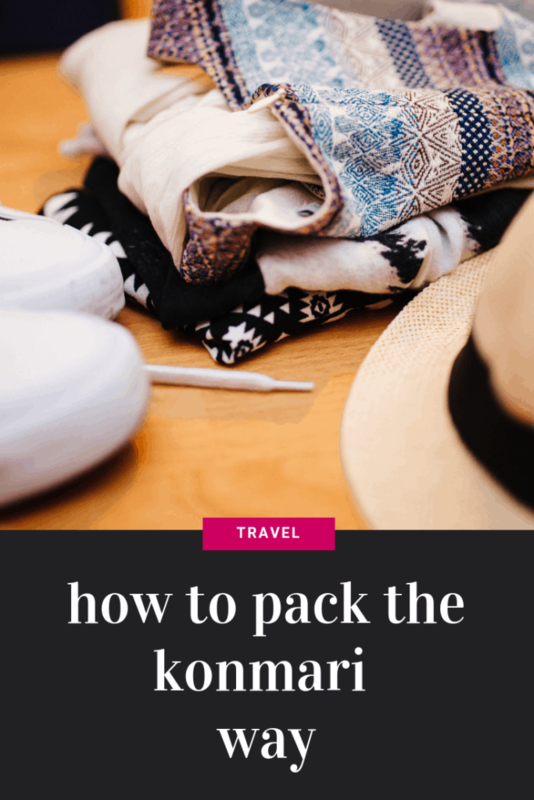 When packing using the Konmari method, you want to think about how many bags you will need for your trip. Will you need a bigger or smaller bag? Will you need multiple bags? Once you have determined what you will need, it’s important to choose a bag that sparks joy. If you’ve gone through your home already using the Konmari method, you may have chosen a suitcase to keep. 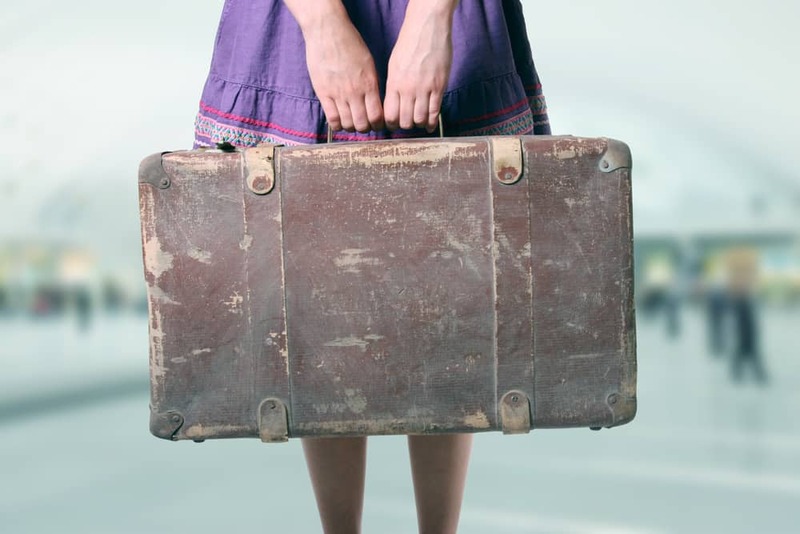 If you are finding yourself unprepared with luggage, then it’s time to find one that sparks joy! Inside your suitcase you also may want to employ smaller bags to separate your clothing and items. This is especially useful when you have limited space. I love these bags for this purpose. No matter where you are traveling, you’re bringing clothes with you. Just as you learned to fold your clothes to store in your drawers, use this same method to store your clothes in your suitcase. Marie Kondo also suggests rolling your clothing to make it fit well. Since many of us live out of our suitcases while we travel, using her methods can help you find exactly what you’re looking for. I’ve always been a roller when it comes to packing, however on a recent trip I decided to try packing using Marie’s method of folding. I am pleased to say that I fit a LOT more clothes into a smaller space. It works! Not familiar with Maries’ folding technique? Watch this short video. When packing for your trip, you also will be contemplating what shoes to bring and other items. 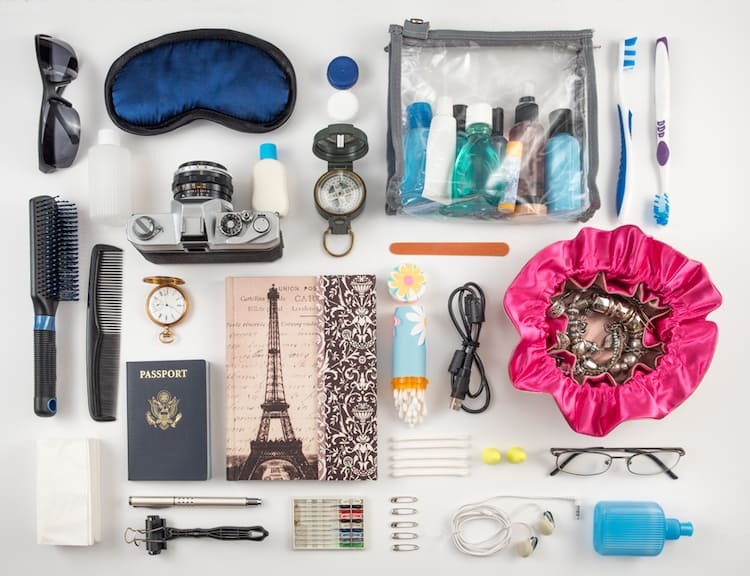 Start by asking yourself what you really need for your trip? When putting together your outfits, can you find one pair of shoes that match everything? Find ways to minimize what you need to bring with you by asking yourself if you really need it. This is key when you’re visiting a place like Morocco that has such vast differences in climate and activity. Take a good look at what your itinerary is, what you can expect where you will be going and what you will need. Unsure what to pack? I have ideas for just about every season and situation you will find yourself in. Marie Kondo suggests that you should save your toiletries for last. This is to help make it easier to pack, and because if you are flying, you will need to get to these quickly to go through security. Pack your toiletries in Ziploc bags to make it easier to go through security. Keep like items together if you’re able to. This will make it easier to find when you reach your destination. If you have larger items, consider downsizing them by using travel toiletry containers. You likely won’t need a giant bottle of shampoo or hairspray. Smaller is better! When we travel, we might find ourselves overpacking for the trip. If this happens, you will need to keep your dirty clothes away from your clean clothes. To do this, keep a bag in your luggage for separating your clothing. Depending on how much you have of each you can decide whether the bag is for your clean clothes or your dirty clothes. Put your items in this bag and make sure it’s sealed shut. If you only have a few pieces, a Ziploc bag can work wonders! Of course you also can consider washing out the items yourself in a hotel sink or sending them out to be washed part way through your trip. You’ll also need to bring your bags home of course. I always leave a little bit of room for souvenirs. You can use Marie’s method when doing your souvenir shopping as well. Consider each item before you purchase. Do you have room and a place for it? If so than go for it! If not consider holding off for something else or skipping all together. I love to buy food souvenirs that I can enjoy with my friends and family but I know won’t take up extra space in my home. 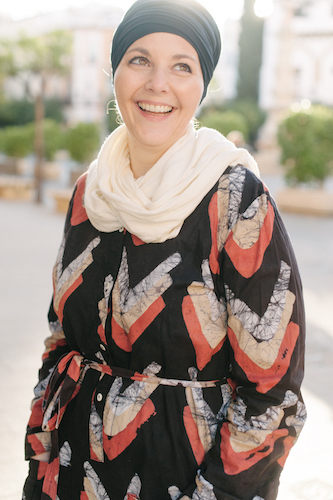 If you need some ideas before you go to Morocco be sure to read my post on souvenir shopping. While you may not think of using the Konmari method in different aspects of your life, this tidying method can still be used outside of the decluttering context!